As I write this in the depths of another harsh winter in the GTA, I am reminded of how many brides crave that ideal soft winter look for their wedding pictures. The only problem is that many of these brides have planned summer weddings. What to do? 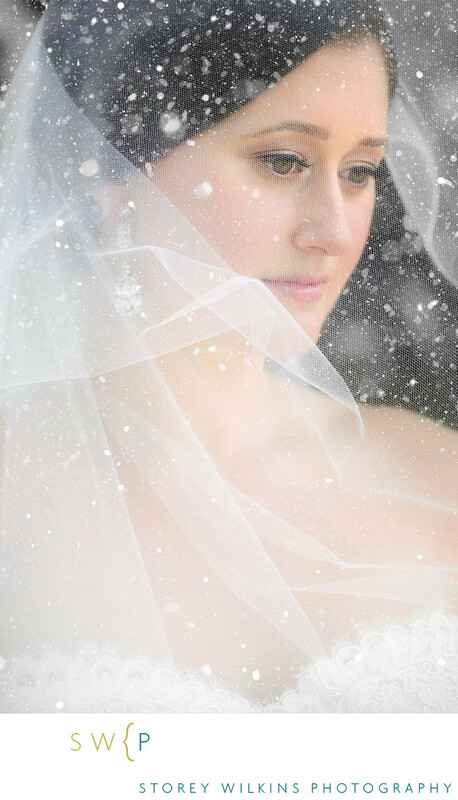 Well, in this case I have experimented with adding soft falling snow in post-production to give the feeling that this bride was outdoors in wintertime. In reality this was taken on one of the hottest days of the summer. Post-production editing work is an add-on service at Storey Wilkins Photography. If you have an idea for a finishing treatment, we are happy to work some post-production magic. We will provide a quote ahead of time with an estimate of the time and cost involved. Location: Niagara on the Lake Ontario.